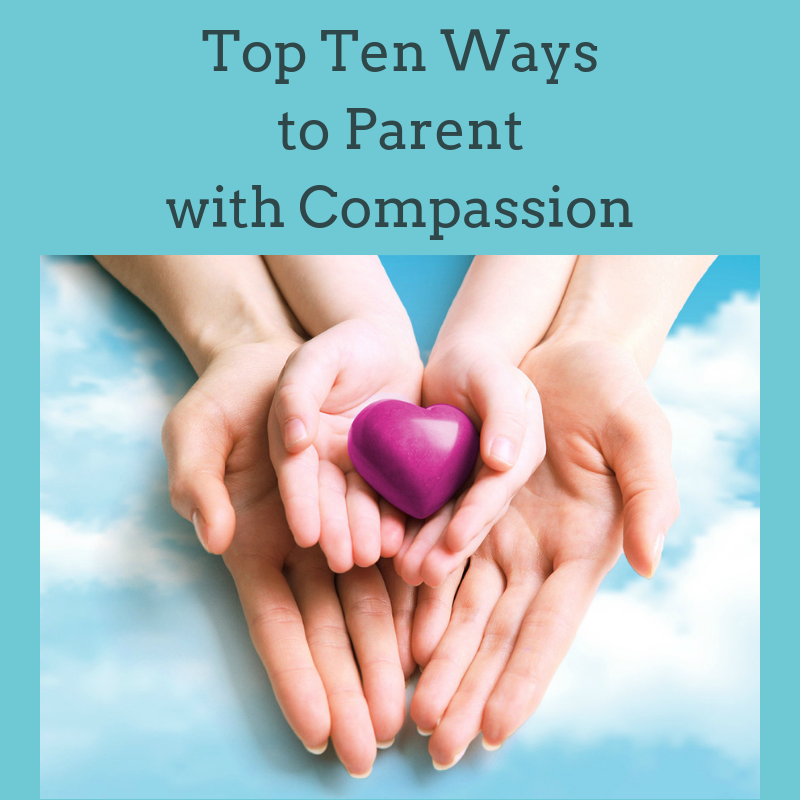 I just finished my manuscript for a new book I’ve been working on, Give Your Kids a Break: Parenting with Compassion for You and Your Children. It’s at my editor right now, and I hope it will be published in November. It’s been enjoyable to work on, and I’ve been working very hard. Along the way, I’ve had to process some difficult feelings. I’m usually good at meeting deadlines, but I missed several deadlines to get my manuscript to my editor. I had to send three e-mails saying how sorry I was to not be able to send it in on time. This was hard for me to go through. The reality is I have pretty good reasons for why it’s been hard to make my deadlines. Most of you may know that I have a serious lung disease, that keeps me at home most of the time while using supplemental oxygen. I kept thinking I could get a certain amount of writing done, but then I’d have a hard day, or get worn out, and that writing day was no more. I apologized, and then missed two more deadlines. Fortunately, my editor was quite understanding, but I still had to deal with my own self-talk. Of course, I know I have good reasons for taking longer than expected. My lungs are really sick, and this affects my ability to do pretty much everything. In reality, it’s pretty amazing I was able to get it done at all. I decided to say no to the shaming messages, and instead pursue truth. What I discovered was that I’m not able to accurately estimate how long it takes me to complete most any project. What I do know is everything takes a lot longer than expected – probably three times as long. I’ve been sad about this for several days. The blessing is that accepting reality gives me the chance to adjust, and set realistic expectations for myself for the future. If I don’t, I’ll expect myself to complete a project in an unrealistic amount of time, and fail again. I’m glad I was able to use this experience to treat myself with kindness, and learn a good lesson. We all fail, it’s part of life. We all need ways to treat our imperfections with kindness. How do you handle it when you fail, or don’t meet your expectations? What about treating yourself with kindness? Any other thoughts you’d like to share? What an inspiration you are to us! You are so open and honest in sharing your challenges, and that puts what we are facing into better perspective. We can then put into practice the kindness that we need to show to ourselves, and of course, others. My prayers are for God’s care and mercy for you as you face your daily health challenges. The fact that your book is at the publisher is a huge achievement, and one that will bless many families. Congratulations! You are loved, you know. Dear Kim, Thank you for your insights. Who is particularly helpful today cuz it was a day I felt like giving up!!!! Thanks for sharing. I’m so sorry that you had a bad day, but very happy my blog post helped you! Thanks for sharing openly and for once again giving me a model of how to respond when I get down on myself! Congrats on finishing your book! Praying it gets into the hands of those who need this type of encouragement! Great example Kim. Thank you again for sharing from your own life and normalizing the struggle. The examples although hard I am sure are very helpful to us all. Take Care. You are so welcome 🙂 You are so right that we all struggle when we fail, and there’s no shame in that. Blessings to you! I am so glad you can apply to your life all the good self-care you have taught to many of us! I have come to utterly believe in God’s perfect timing, and so when the inevitable delays come, just before panic hits. I remind myself that God has never ever let me down and that His timing will prevail no matter the time a human has in mind. Your new book will be a highly valued source of much encouragement to many parents, and so we shouldn’t be surprised the enemy has tried some road-blocks. BUT God’s will prevails!! His timing IS PERFECT. God bless you my dear friend, through all and in all. Thanks so much Mary…I love what you shared,”when the inevitable delays come, just before panic hits. I remind myself that God has never ever let me down and that His timing will prevail no matter the time a human has in mind.” Amen! Thanks so much for your well wishes about my book…I hope it is a blessing to parents and children alike. God Bless you too! Your posts are very encouraging. Being kind to myself is a very new idea. I am trying to be a better friend to myself, because for most of my life,(like 59 years! ), I have been sooo critical of myself. I have believed that nothing I did was ever ever good enough. Please keep telling us that that is not truth. I have your book, and I thank you for writing it. I wish I could have you as a counselor. Love from Barb. So glad my posts have been helpful! That’s what I want! 🙂 Just keep speaking to yourself kindly. You won’t do it perfectly, and you don’t need to. I do have 2 recordings that may be helpful too. You can find them https://store.cdbaby.com/cd/kimfredrickson and https://store.cdbaby.com/cd/kimfredrickson2 I’ve had a lot of people tell me that listening to compassionate messages really helped them talk to themselves differently. Blessings to you! Kim, the fact that you finished a manuscript for a new book is just unbelievable!!! . . .I think how could “What’s wrong with you? How could you miss your deadline? You’re so lame!”, . . . how could that even come into your mind? It is amazing that could even come into your mind at all, and yet, I know exactly what you mean. I would say those things too and even add worse things like: “Your finished. You can’t do anything right, etc., etc.” As we have discussed before, we would never treat others that way. —Love is an inside job! —A truly compassionate attitude towards ourselves (―internally) is the only way to have real love, real compassion, and real understanding for others *externally*. . . .I only really accept your mistakes and flaws to the degree that I accept my own. It is the same with love, with compassion, with everything. . . .The greatest potential we have for opening our hearts lies in opening of our minds to think differently. I like your solution: “. . . .let’s figure out what the problem is.” —Absolutely!
. . . you may be human, but you are operating on some unseen power ✞. —Obviously drawing from the well that will never run dry (John 4:13-14). . . I’m praying for you every day, my prayer group prays 🙏for you too. 😊 💕 I so appreciate you Kim and so value your perspectives. Christ’s love to you Kim! Thanks so much dear Aleea, and thanks to your prayer group too! Christ’s love to you too! I’ve found treating myself with compassion comforts me and encourages me to have another go. Beating myself up over a failure discourages me from trying again.